She went on to explain that she brought in the Howard the Duck comic book writers to help her with the pitch. Thompson then said that Zdarsky and Quinones wanted to be “super meta” so they inserted the real-life actress into the story and not her Howard the Duck character, Beverly Switzler. 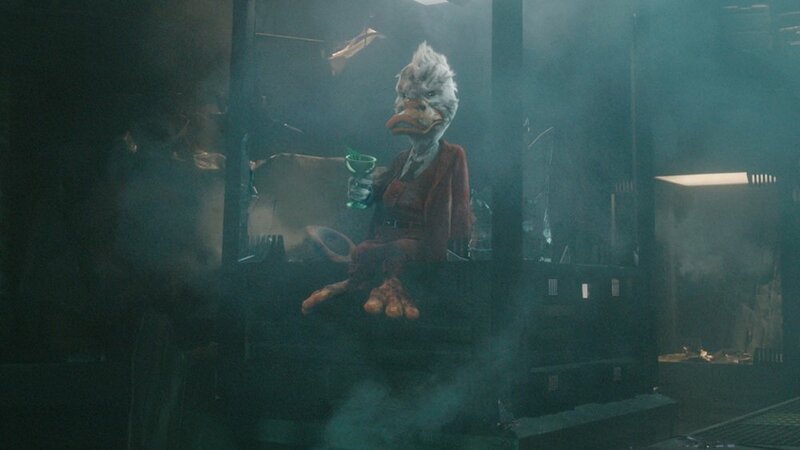 Ever since Howard The Duck made his big screen debut again in Guardians of the Galaxy, fans have been wanting to see a new film with the character! I know I would! Especially if Thompson is involved with it. Yeah, the movie… or series may not happen anytime soon, but I really hope that it eventually happens, even if ends up on the upcoming Disney streaming service. Apparently Howard almost showed up in Avengers: Infinity War. The director talked about the scene saying that it would have shown the character playing cards with Ken Jeong and he would have been interrupted by Star-Lord. I love Howard the Duck and it’d be awesome to see him getting a proper adaptation. Hopefully Marvel Studios eventually ends up calling her Thompson back to make this happen. HOWARD THE DUCK's Lea Thompson Declares Herself "The First Queen of Marvel"
Lea Thompson is Pitching a HOWARD THE DUCK Movie To Marvel Soon!